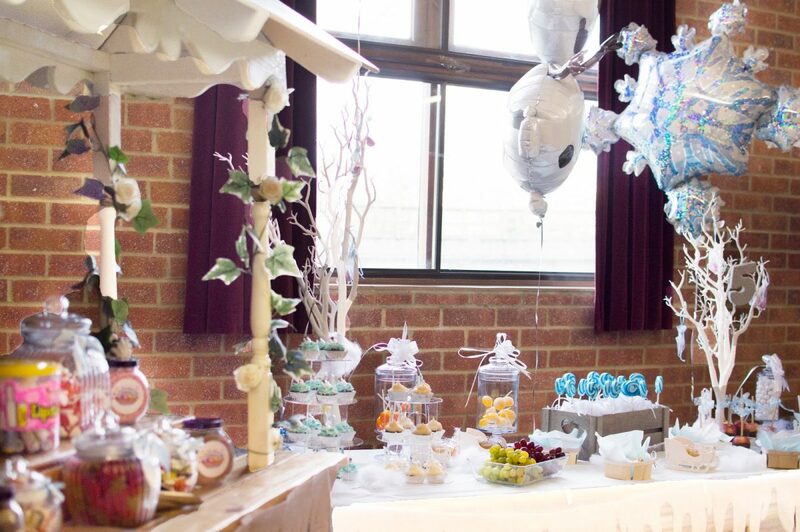 In March Jensen and Lyoto finally got their wish of a Frozen party – and thanks to all of the kerfuffle going on in our family, it’s taken quite a while to get the photos onto the blog. Our party was amazing and around 35 children turned up to bounce about, eat sweeties and meet our surprise guests. After a frantic to-and-fro with everything we needed to assemble the party, I began my one-woman mission to create a Frozen scene for our boys’ friends to enjoy for the afternoon. The bouncy castle and slides arrived, the very lovely Lolly Trolly set up her gorgeous cart to be filled with the delights of All Occasion Sweet Shop, and Daddy set to work inflating a million balloons. 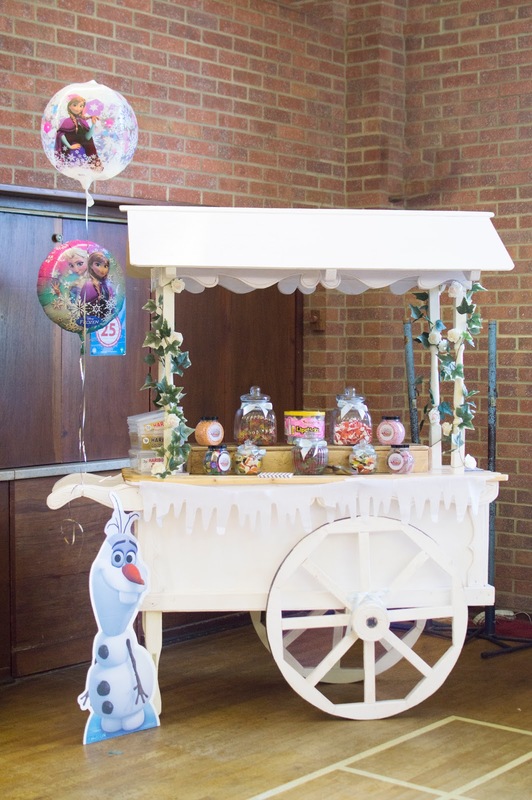 Our favours this year were candies and sweets on a beautiful Frozen sweet cart decorated with Frozen balloons from Party Bags and Supplies – and a choice of Frozen heart or Hans’ sword to fill up to take home, thanks to the lovely people at Yolli. We also had a tiara and sword decorating station [which I never got a photograph of thanks to time constraints] manned by my brother in law [who secretly enjoyed making a pretty tiara, I like to think]. 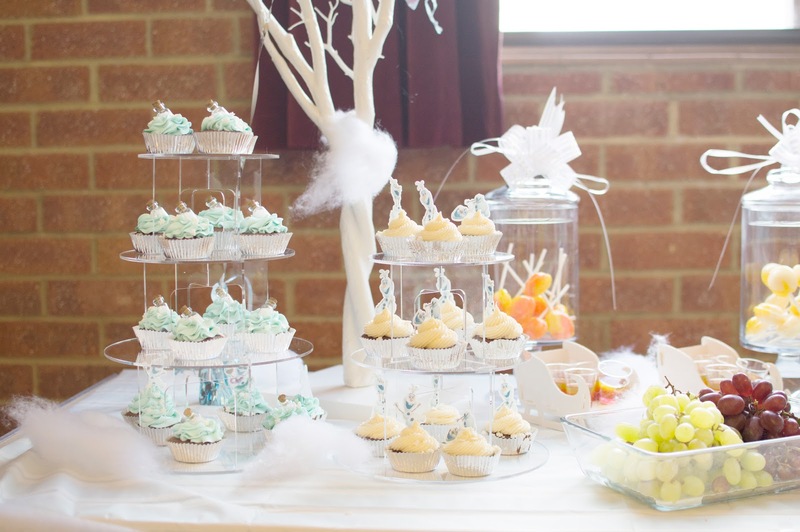 On the buffet table were Olaf and Elsa cupcakes and lollipops, fruit and sandwiches, crackers and sausage rolls, and little chocolate hearts hanging in organza bags from the Frozen trees. 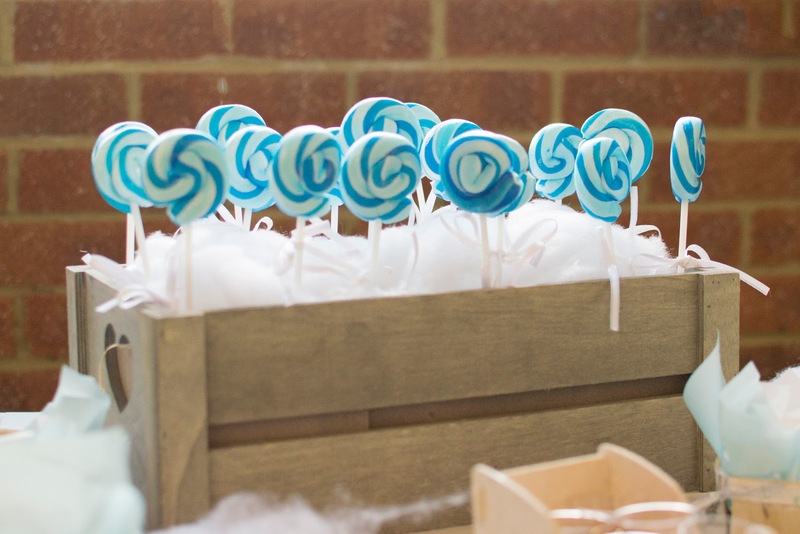 There were rainbow jellies in glittery sleighs [painstakingly painted by me and my super dad] and chocolate dipped marshmallows in blue and white with the cutest straws, all displayed on the most beautiful tablecloth from the Pretty Little Party Shop. The lemon meringue lollies in the jars from All Occasion Sweet Shop were SO good. Note: I did not get a cupcake. Fail. Sven watched over the space for the cake very carefully. I think he knew what it was going to look like… *cough* Olaf *cough*. 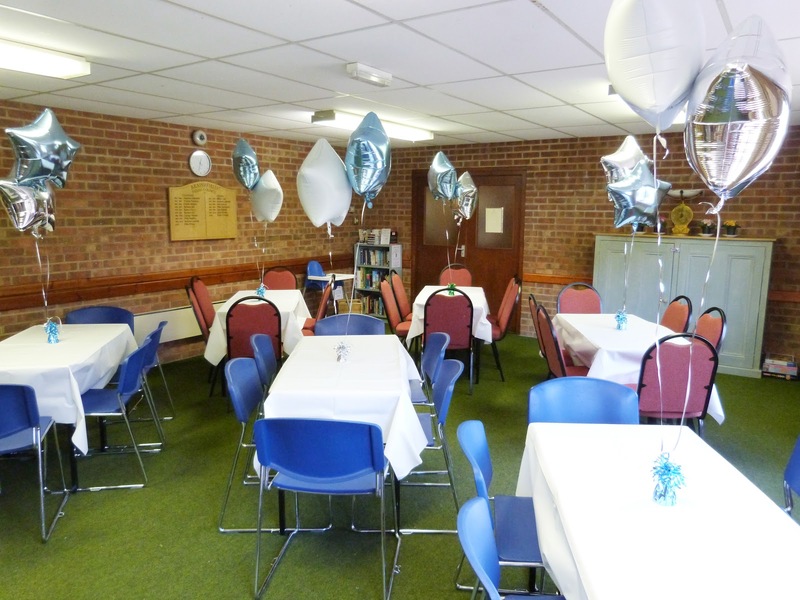 We set up a separate banqueting hall for the little ones to escape the noise if they wanted whilst they enjoyed their lunch. 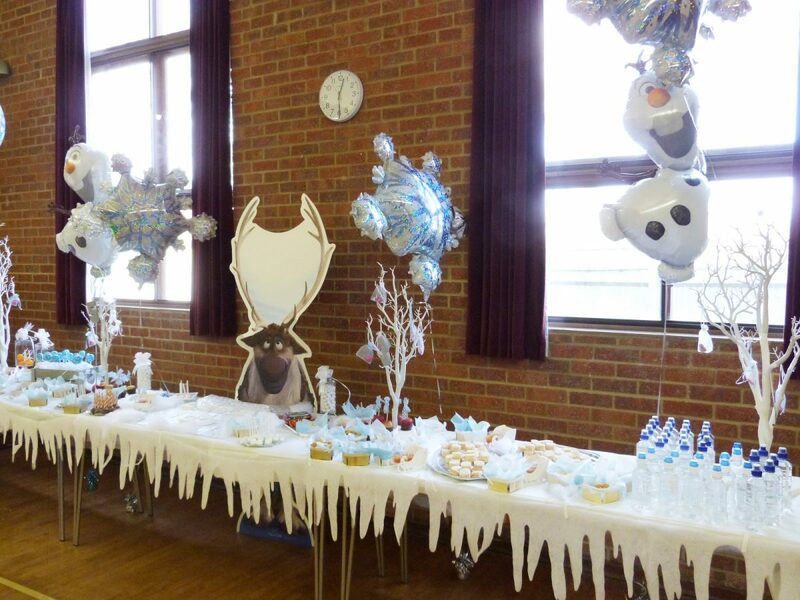 White tablecloths were scattered with silver snowflakes and decorated with star balloons thanks to the brilliant and super patient Party Packs. « PUDDLES AND PYJAMAS – IS CAMPING RUINED BY GLAMPING? It looks stunning. 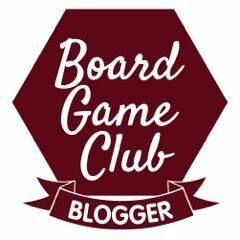 Love the ideas of filling swords/hearts – really nice idea. Holy moly! When you throw a party, you really throw a party! I absolutely love this! This looks like an amazing party! Your decorations are perfect and so creative! Love it! This is beyond adorable! 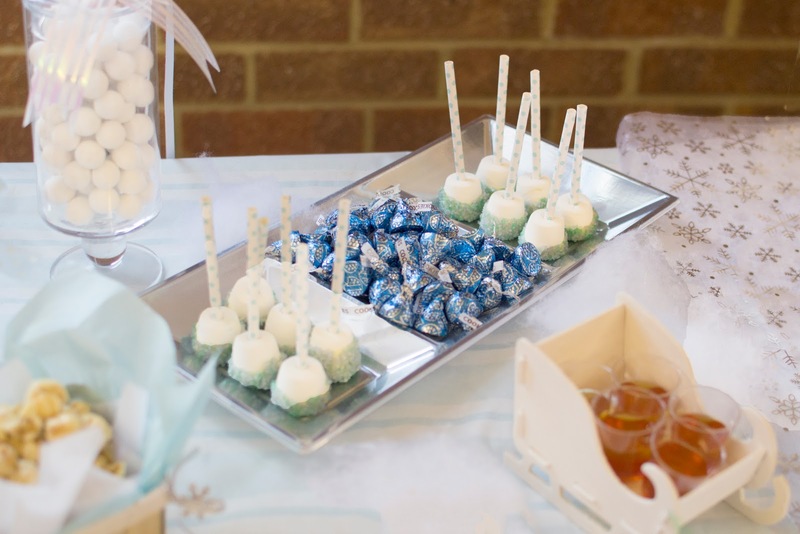 I love how you used the tablecloths to look like icicles!!! Wow, what a fun party. I bet any Frozen lover would just be in awe of it…I haven't ever watched the movie and I'm even in awe! Wow! What a beautiful party! Everything looks so elegant! I would have never guessed this was a child's party! Looks more like a frozen wedding reception! Gorgeous!! How amazing, you really went all out with the party decor! 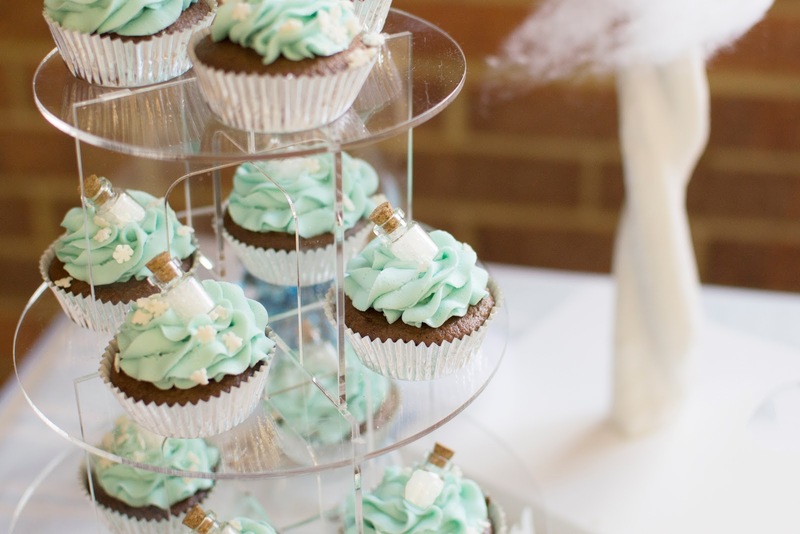 I am loving the look of those cupcakes and love how you displayed everything. 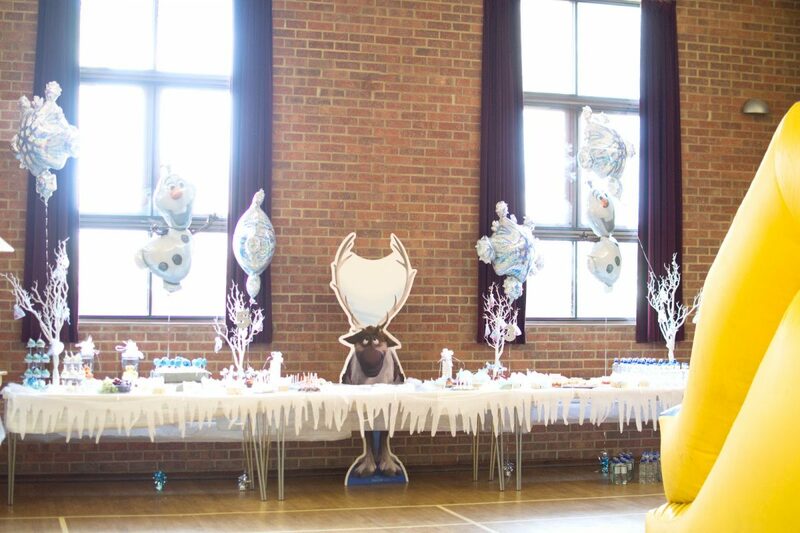 What amazing decorations you had at that Frozen party. I am really impressed. It had to take forever just to set it up. That is such a beautiful set up. I'd love to throw a party as pretty as this one. The kids will be excited about Frozen too! What a great theme for a party. I wish I am as creative as you are when it comes to setting up party decors! This is so awesome! Everything looks amazing. My daughter would flip over something like this. This is absolutely amazing! I love how you put everything together and the food looks great! Oh my gosh the entire party looks SO well done, gorgeous even. I feel like it's straight out of pinterest! 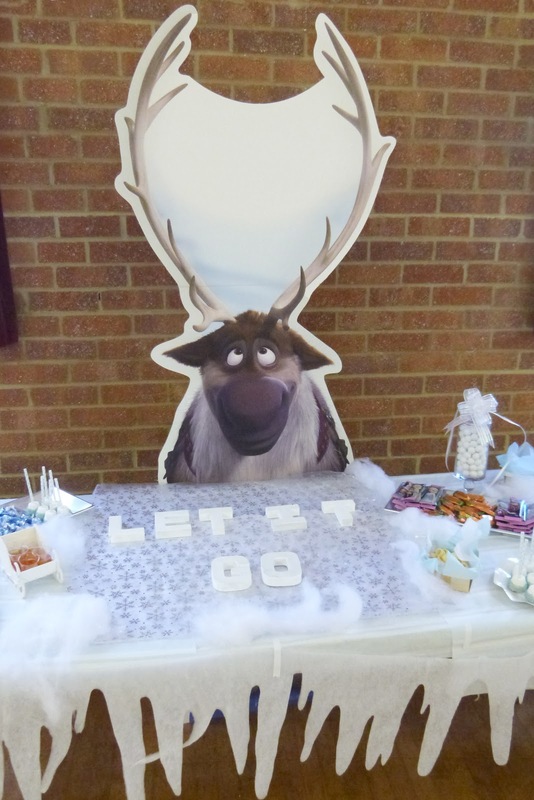 Wow there are so many great ideas here I wouldn't know where to start, my daughter is begging me to do a Frozen theme party for her next birthday I will definitely use your ideas as inspiration thank you! This is absolutely amazing. I can't decide what I love more. You did an awesome job and please come help me plan my sons birthday. 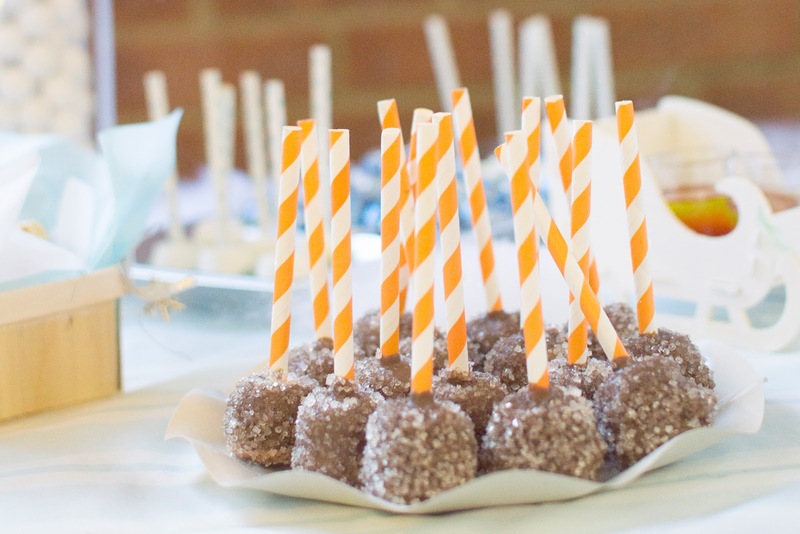 You'd be a great party planner! Wow, this is stunning! Well done, it sounds like Frozen heaven for any kid. I love your setup especially those yummy treats. Holy crap, way to go! That party looks GORGEOUS- and all of the small touches were probably really noticed/appreciated by the adults. The overall wow-factor is definitely there- you did a great job! 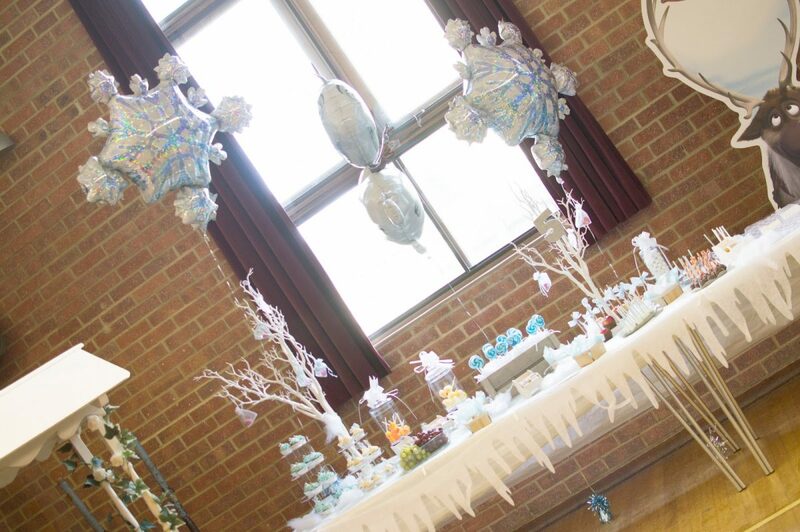 Wow, the decorations are out of this world probably the best Frozen themed party I have seen. 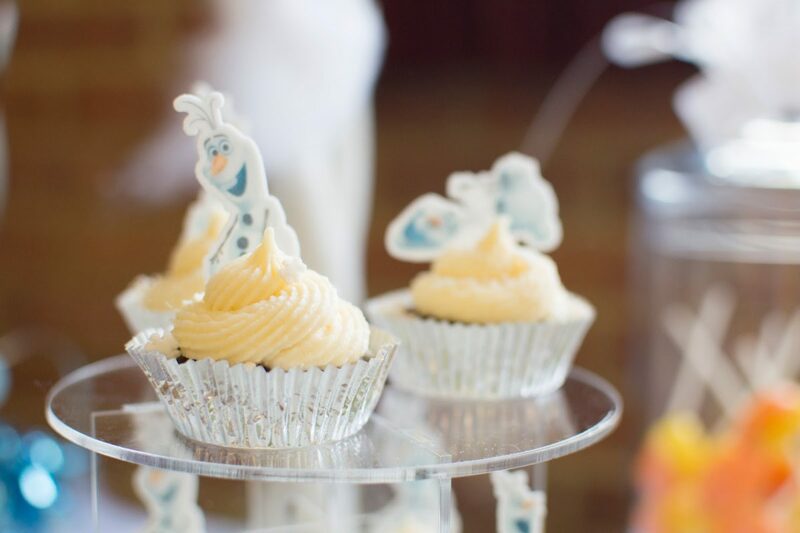 My friend is actually throwing her little girl a Frozen party so I'm definitely sharing this with her for ideas. This turned out great. I love all the attention to detail. All the sweet treats look delicious! I can not wait to see pictures of your boys and all the kids enjoying this amazing party. My princess would be in heaven at this party, she is all about Frozen! This looks like an amazing party. I love all the decorations. My girls would love it. Everything looks brilliant. I love the cupcakes and the lollies. I bet they had a great time! Wow! What a fantastic spread. It is perfection. 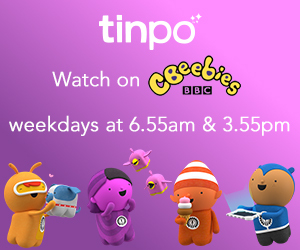 My kids (and me) would love this. What a cute party scape. My daughter is obsessed with frozen still. She would love this. What an amazing party! Gorgeous photos. I am sure your boys had the best birthday ever! Oh. My. Goodness. My first thought when I saw the first photo? "You've got to be kidding me!" This looks amazing. I really love the icicle table coverings. I am in awe of your decorations, absolutely beautiful! My girls would love a party like that! What a cute party!!! I have a few nieces that are obsessed with Frozen, they would love this!! What a great job!! I'm sure he did secretly enjoy making tiaras, hahaha. Toys are fun no matter your age or gender. 😉 Everything here looks amazing! 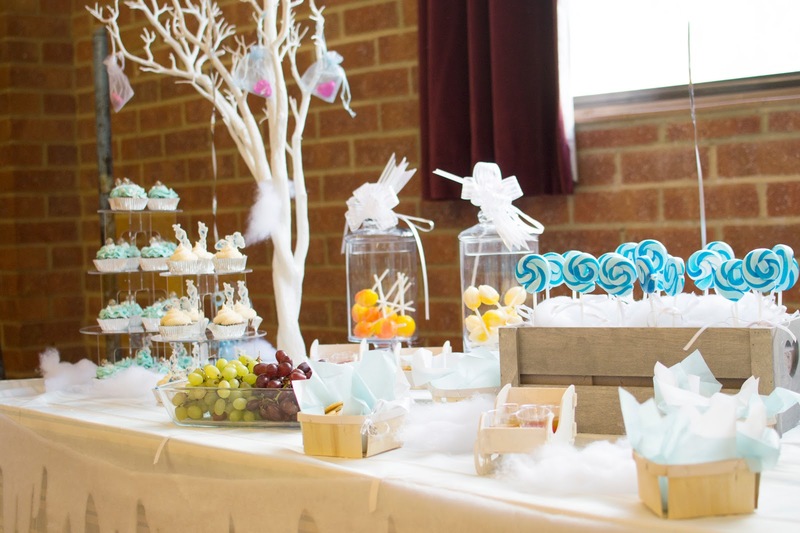 What an amazing looking party – looks great and I love those big swirly lollies. Wow, this is stunning!! I am obsessed with frozen and so is my 4yr old niece so I will def be bookmarking this page for when her birthday comes up! You did such an amazing job! what attention to detail a superb party ! 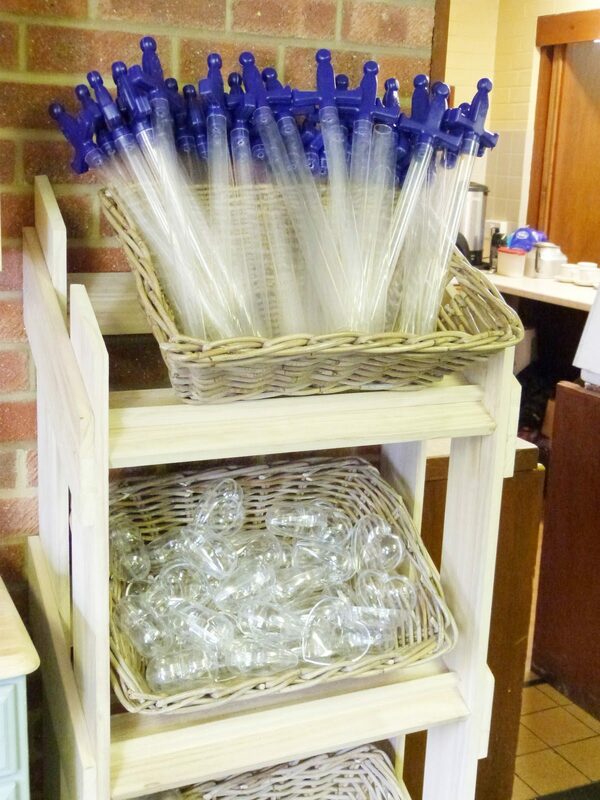 I've always wanted a sweet trolley for an event, they are just awesome! Just wow what a stunning party. I bet the party guests were amazed. Oh wow!!! these are really stunning decorations! Truly, this is beyond adorable. My daughter is obsessed with the Frozen parties and this one heart throbbing. Last year I also threw frozen birthday party for her at some domestic party halls in Los Angeles.